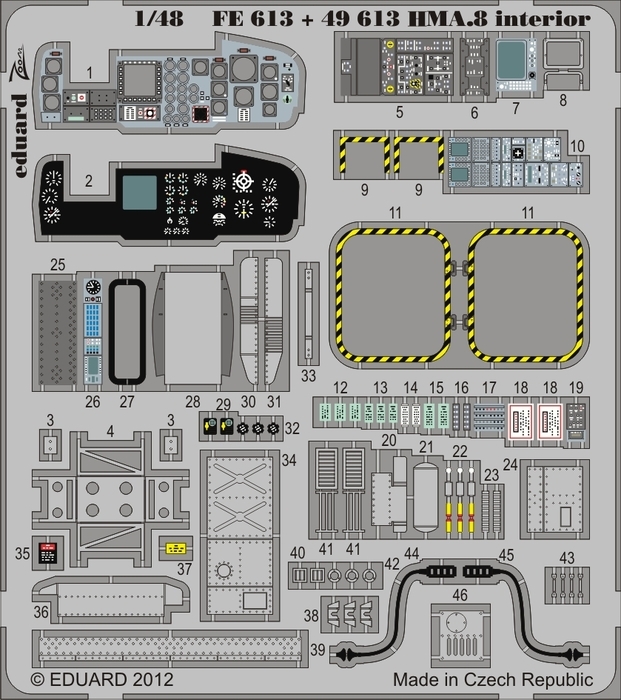 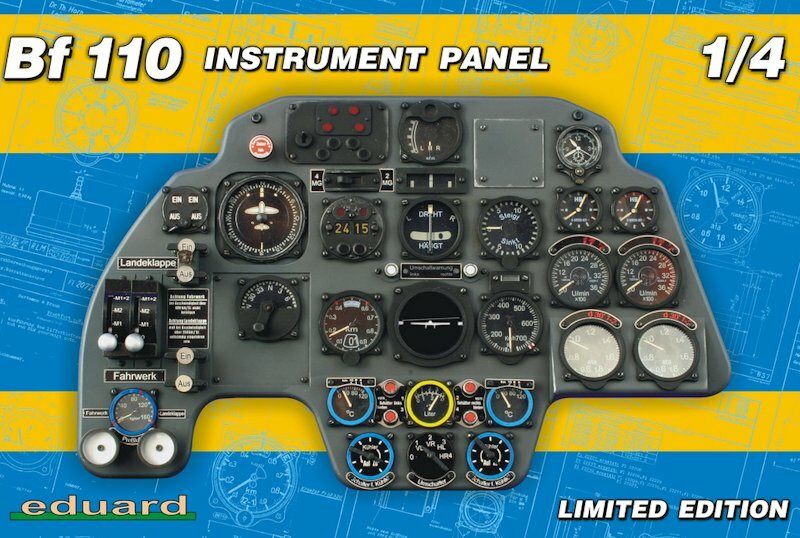 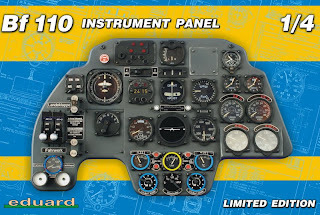 Very popular Eduard Limited edition kit of 1/4 scale Bf 110 instrument panel. 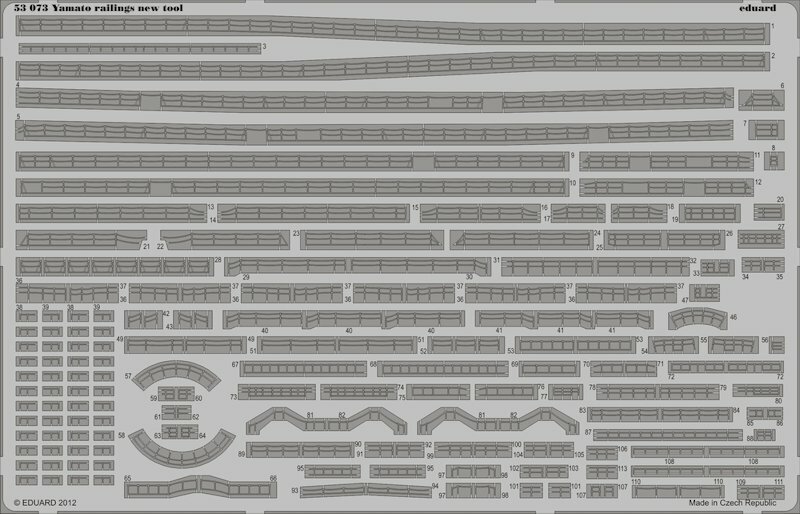 Over 60 Instruments, Switches and Placards. 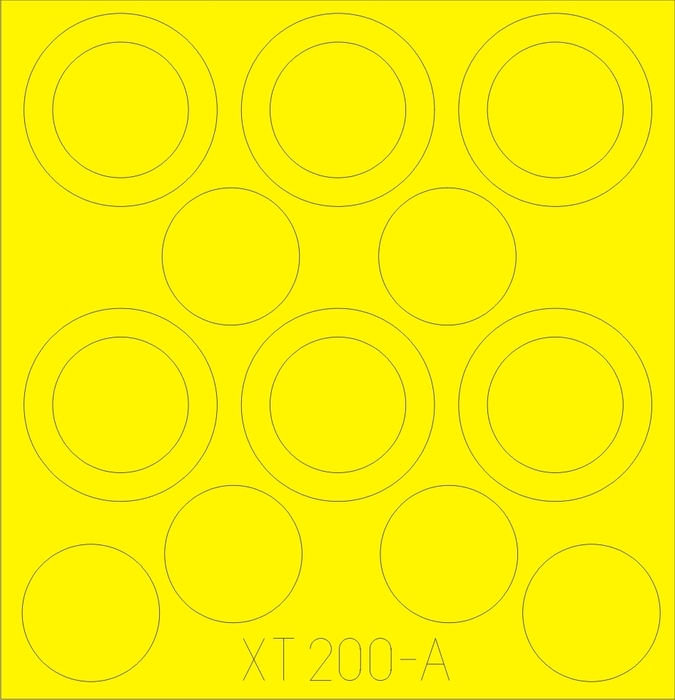 Life-like Colour Photo etched Label Placards. 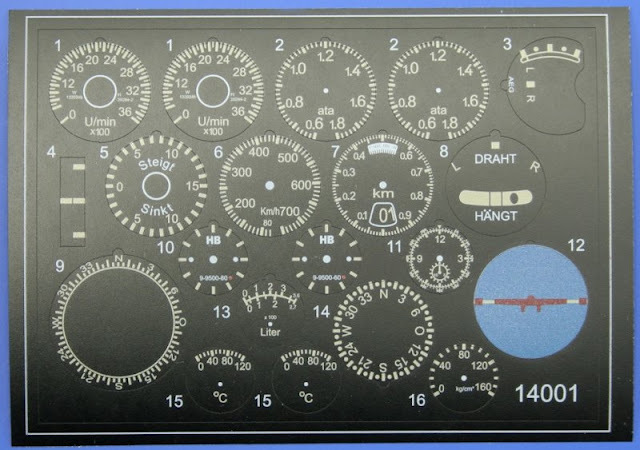 Kit contains all instruments including fine internal dial details, placards (made from PE), labels, switches and buttons. 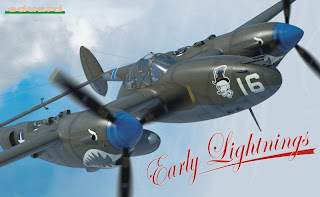 Limited edition of the P-38F/G/H Lightning (early versions) in the 1/48 scale is based on Academy plastic parts. 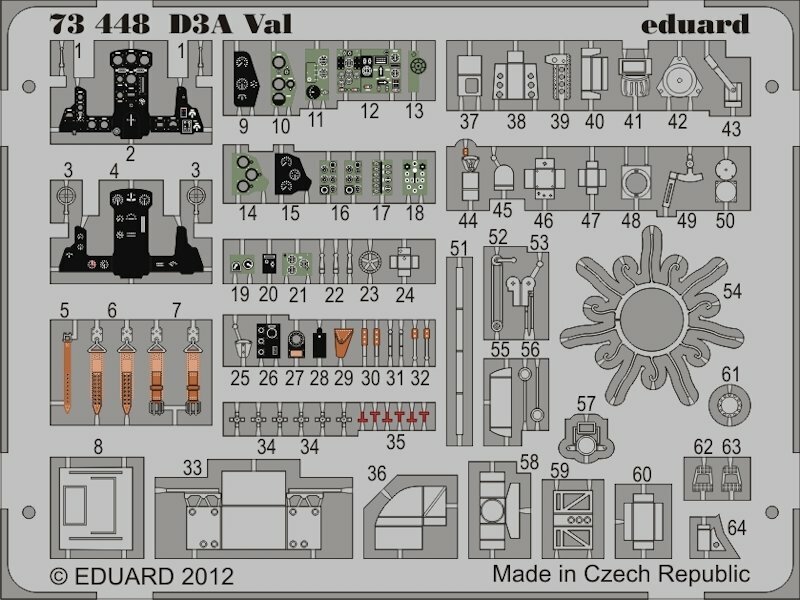 The increased value of this kit is added by the Eduard additional detailing sets (exclusively included in this kit only). The Eduard Brassin accessories covers the cockpit (pilot’s compartment bay, pilot’s seat, armor plate behind the seat, radio equipment), the superchargers (the entire supercharger, plus the supercharger intakes located on the engine sides) and landing gear wheels (including the front wheel, with superb details on their discs, also as the fine tire pattern). 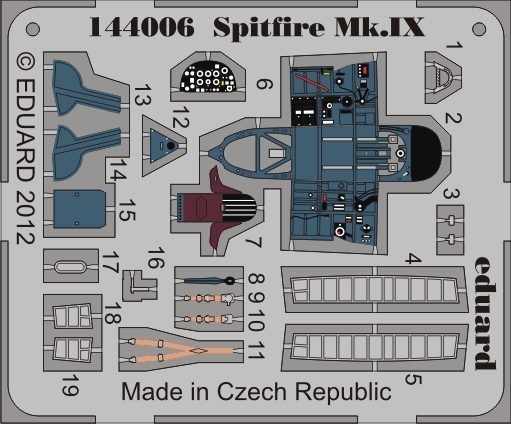 The photoetched accessories (coloured) contains the instrument panel and seatbelts, air intake strainers and structure of the coolers intakes, landing gear interior and various exterior details. The decal sheet designed by Eduard and printed by Cartograf features six colorful and attractive markings for early Lightnings serving with various USAAF units. 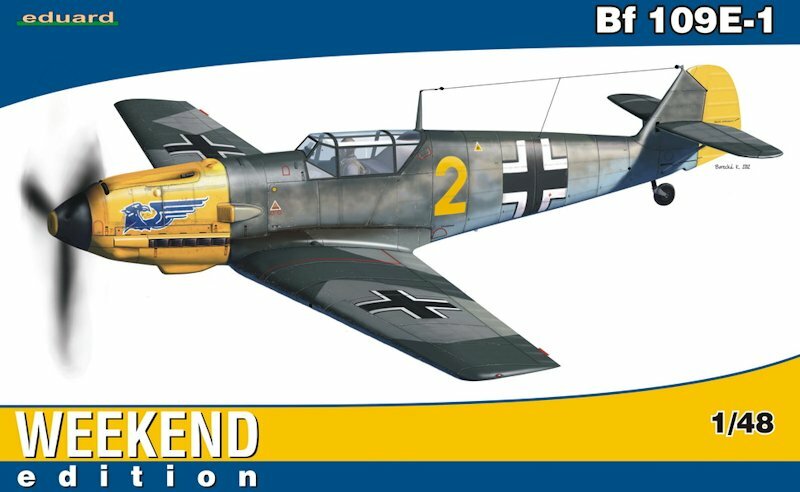 The Weekend edition brings you the cheap variant of Eduard kit Bf 109E-1 in the 1/48 scale. 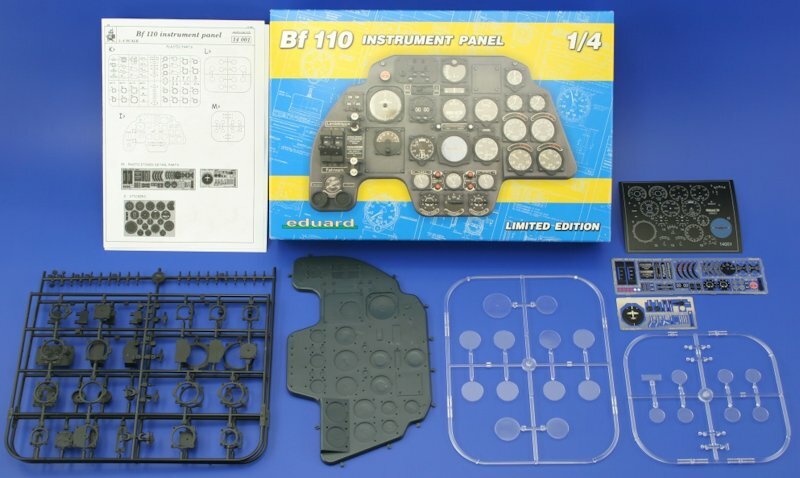 This kit, in very fair price, does not contain photo-etched accessories, nor the painting mask. 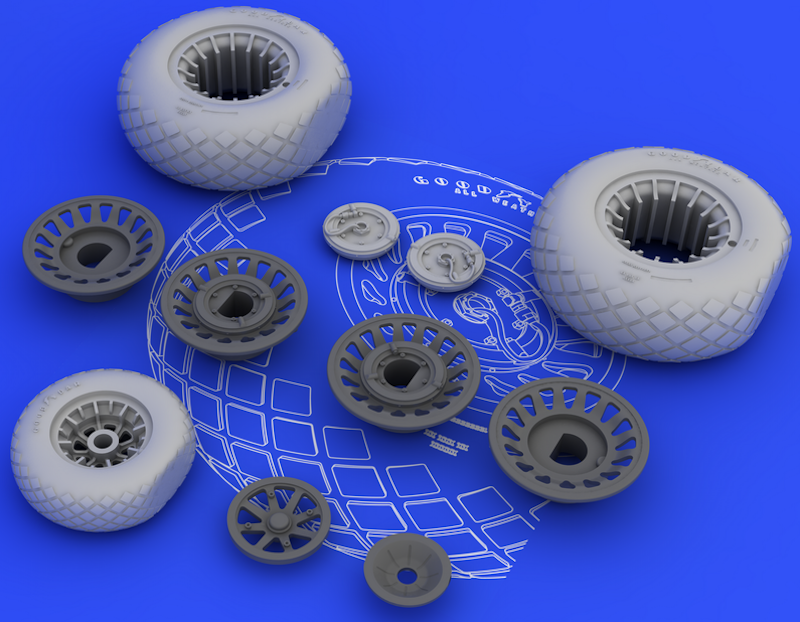 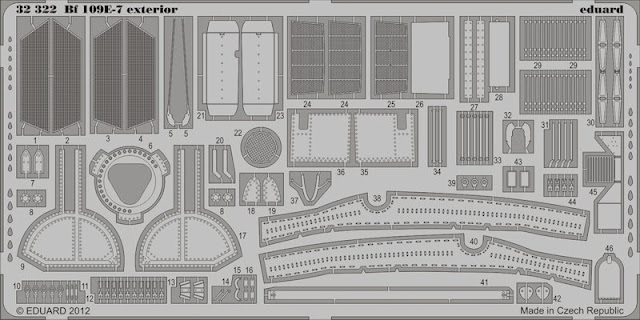 Description: Brassin - resin & photo-etched accessories for scale plastic kits. 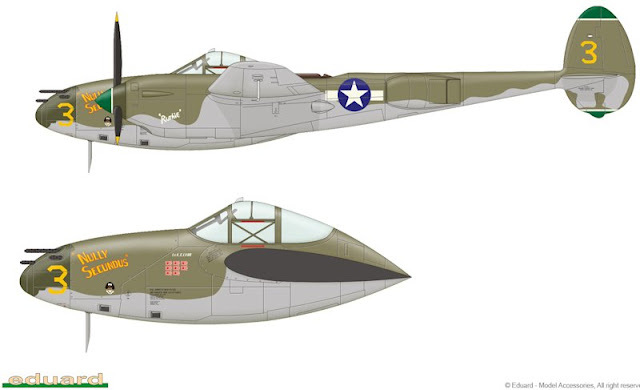 Brassin set focused on HK Models B-25H/J 1/32 contains the main landing gear and nose wheels with fine detailed tire, discs and other wheel accessories. 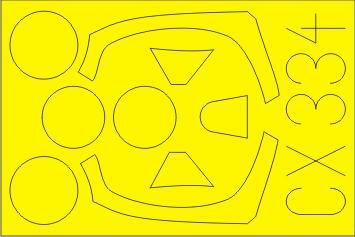 Wheel disc from PE and painting mask included. 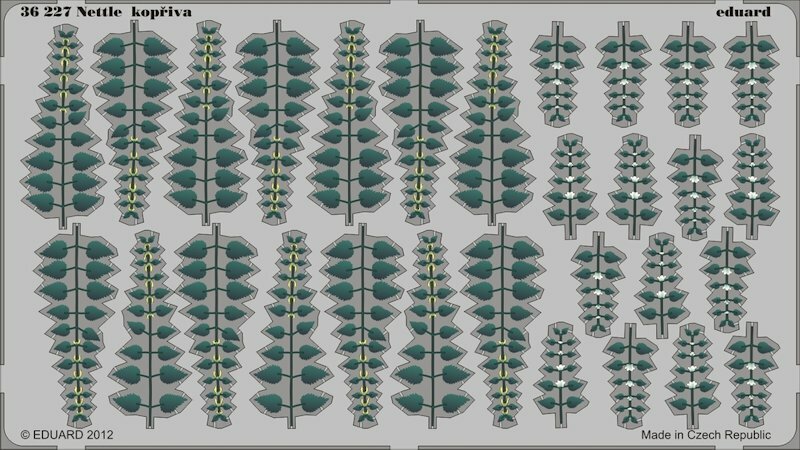 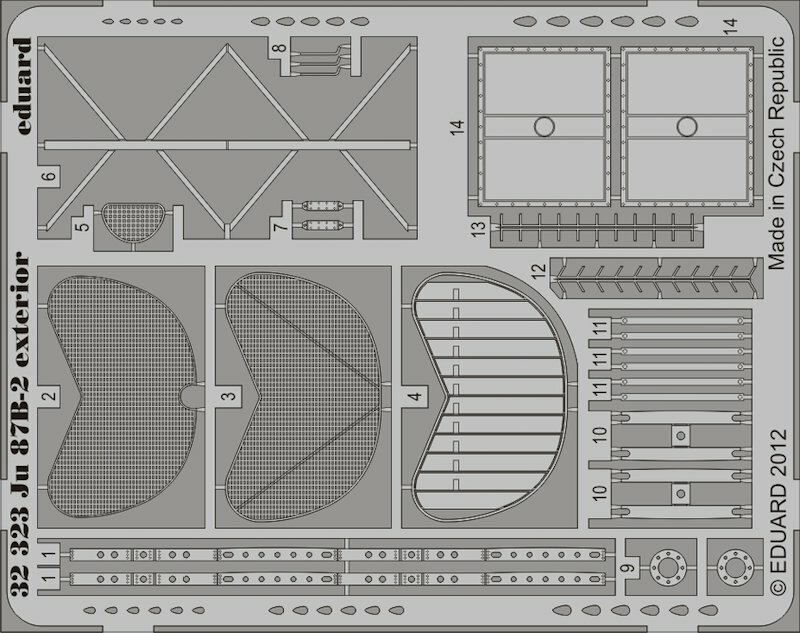 Brassin set contains 4 pcs of the infrared guided air-to-air Soviet missile R-60 Molnyia (NATO coding AA-8 Aphid) ) in the 1/48 scale. 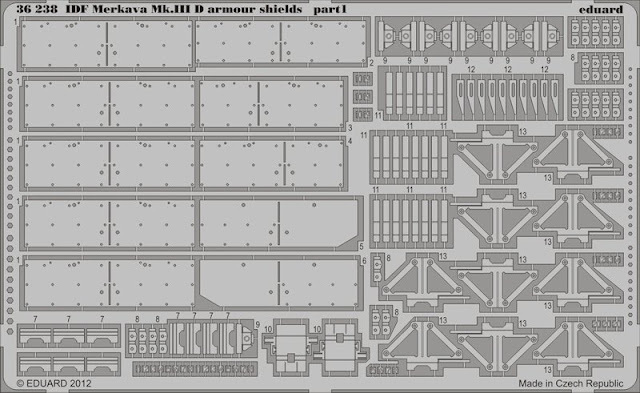 Set contains detailed rocket body, racks, wings and warhead protection. 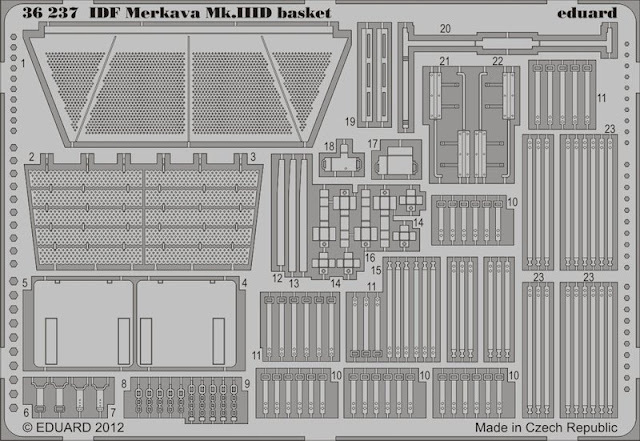 Photo-etched details are included. 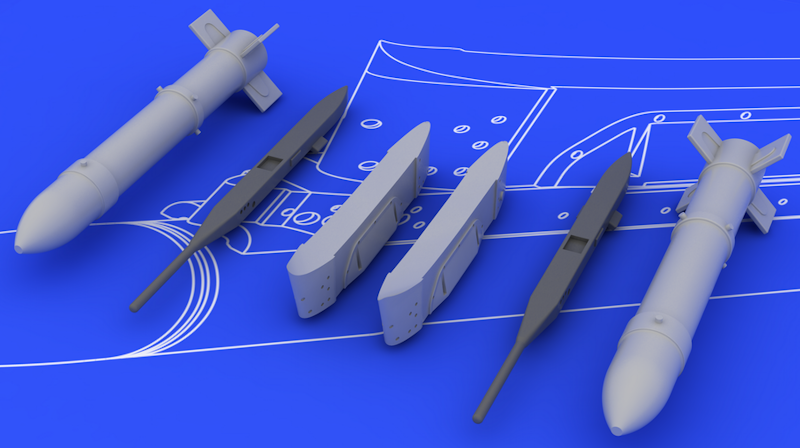 This is a missile widely exported by Soviets, widely used worldwide. 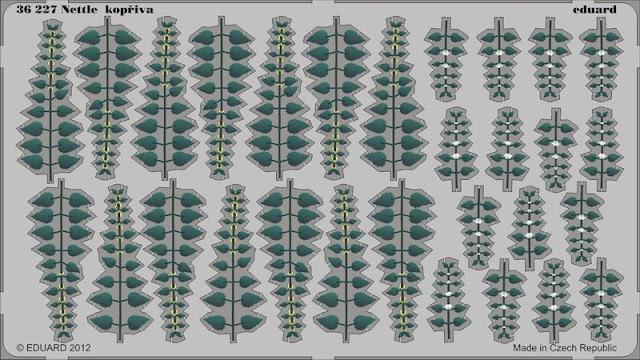 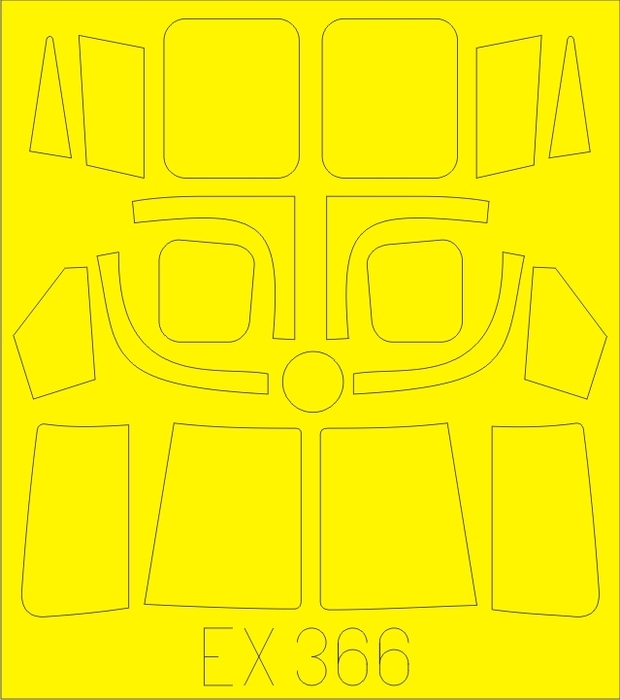 Used on planes such as MiG-21, MiG-23, MiG-25, MiG-27, MiG-29, MiG-31, Su-15, Su-17, Su-20, Su-22, Su-24, Su-25, Yak-28, Yak-38, Yak-141, Mi-24, BAe Hawk and others. 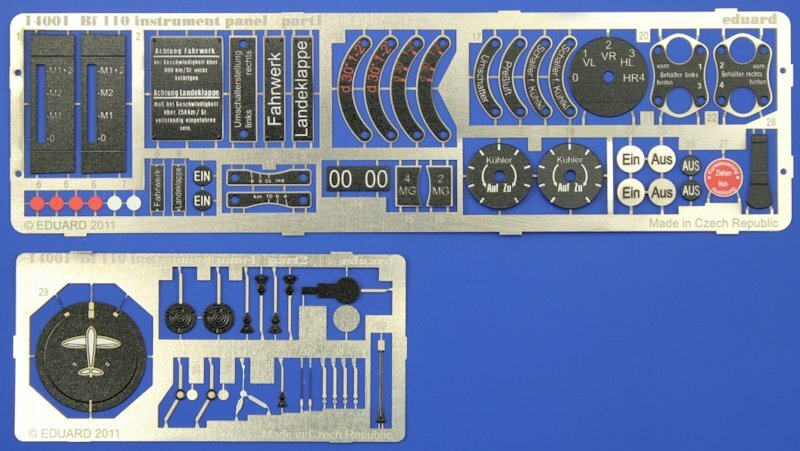 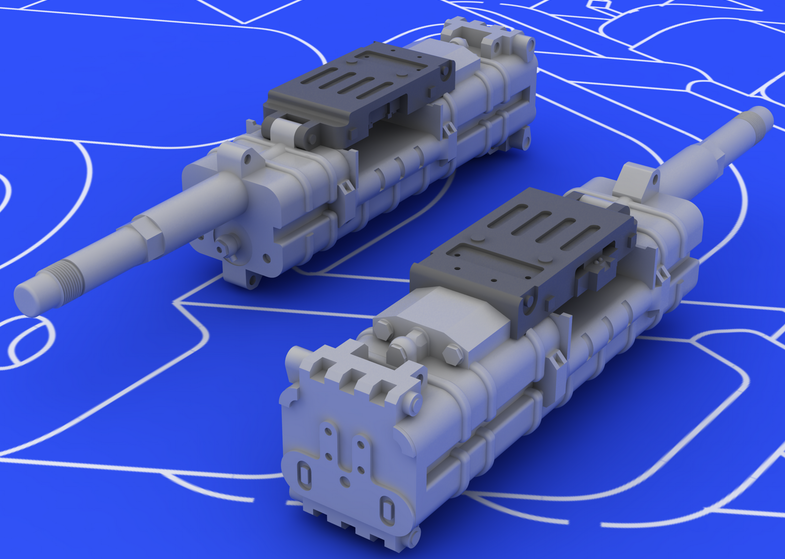 Brassin set contains two pieces of the German famous Rheinmetall-Borsig MK 108 30 mm cannon in the 1/48 scale, each composed of two parts (the main body and barrel, plus the ammo bolt deck (Gurtzuführung)). 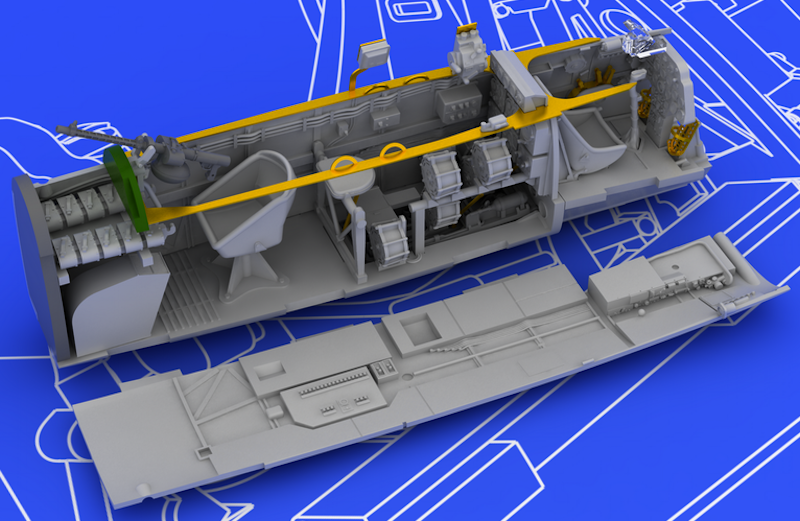 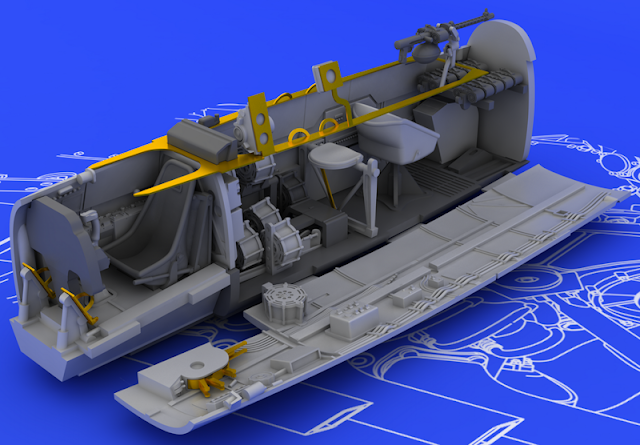 This Brassin set is focused on Bf 110C and D versions by Eduard in 1/72 scale. The MG 17 machine guns were used in early versions of the Bf 110s as a fuselage weapon. 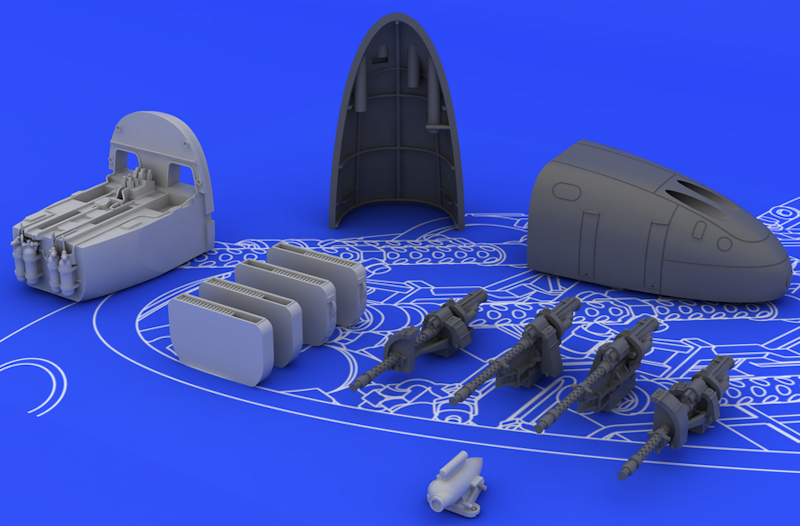 Set consists of four machine guns, their supports and all accessories including ammo boxes. 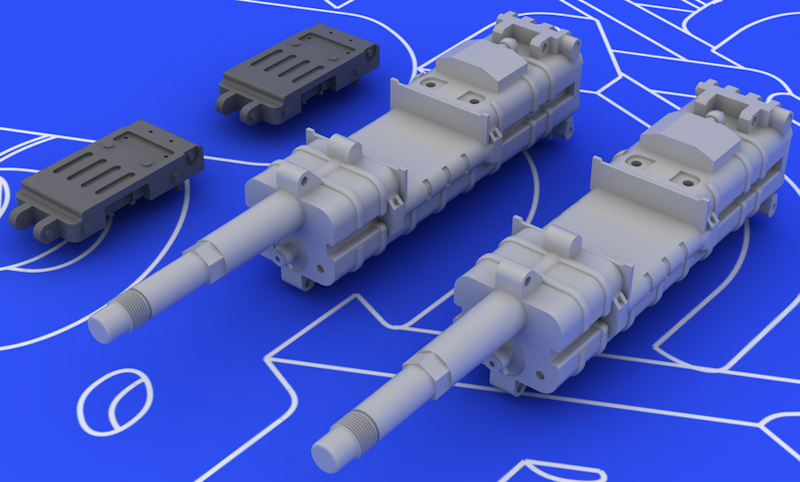 Separate gun-mount housing is made extremely thin. 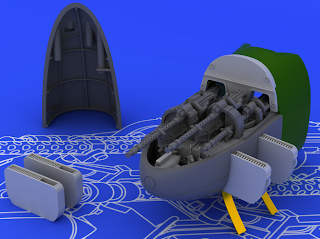 A new bottom nose section is included. 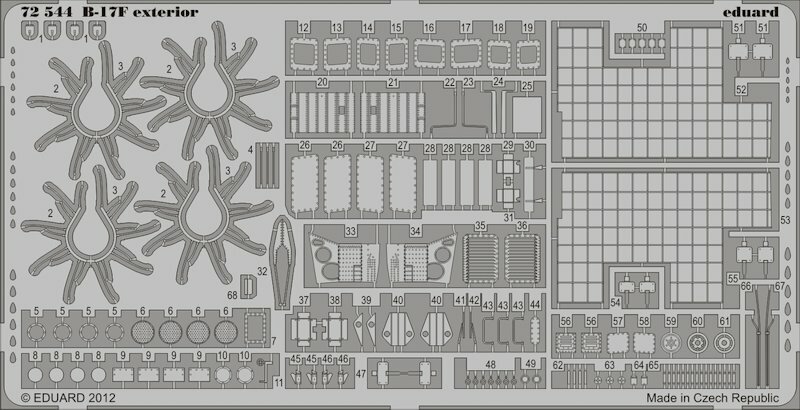 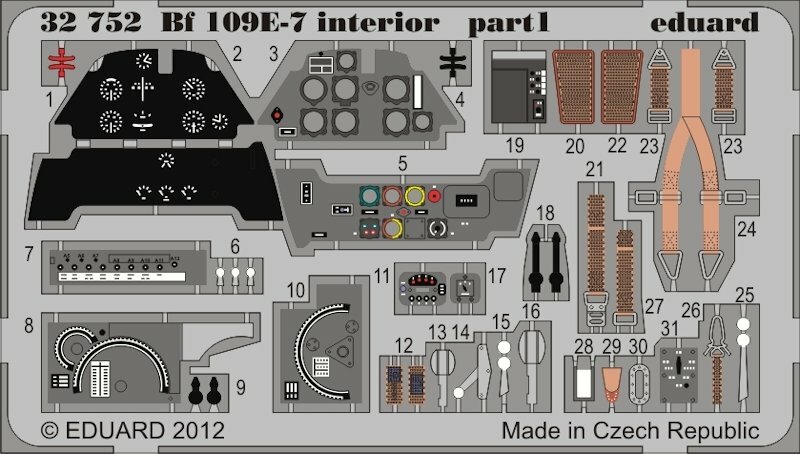 Large Brassin set contains highly detailed cockpit interior for Eduard Bf 110E in 1/72. 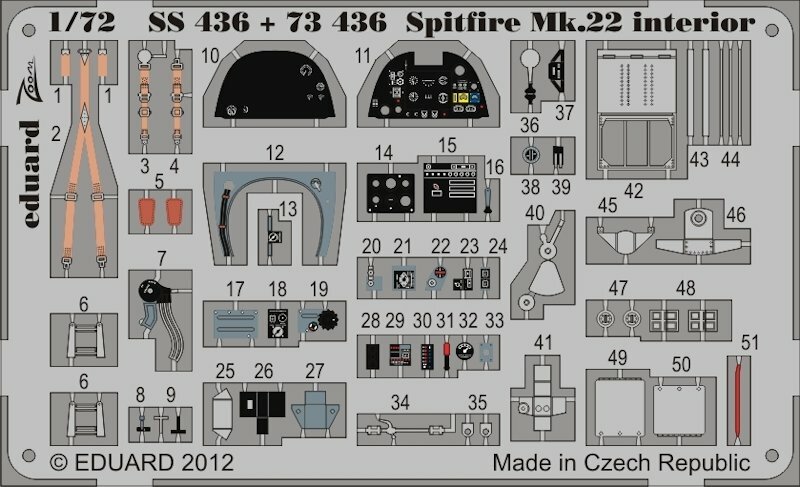 Bf 110E Brassin is composed of the entire cockpit parts such as floor, seats, side-walls, pilot’s compartment, radio equipment, rear gunner’s equipment including ammo magazines, movable MG FF mount including its cover panel etc. 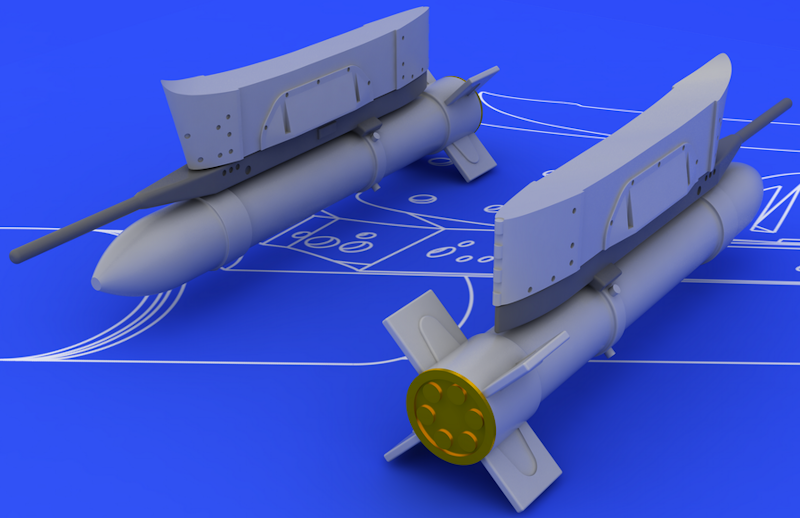 Set contains 2 pieces of the Soviet S-21 210 mm calibre unguided air-to-ground rockets in the 1/72 scale. 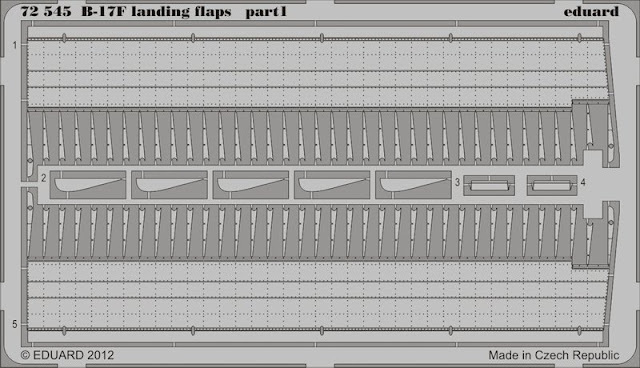 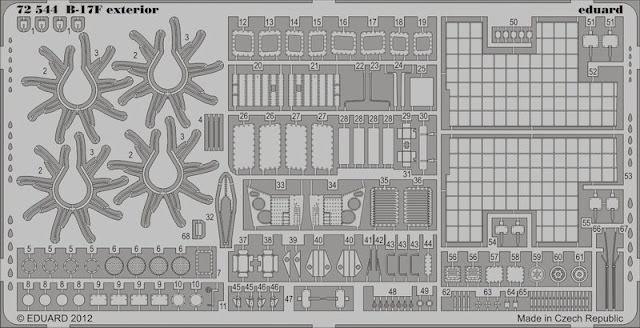 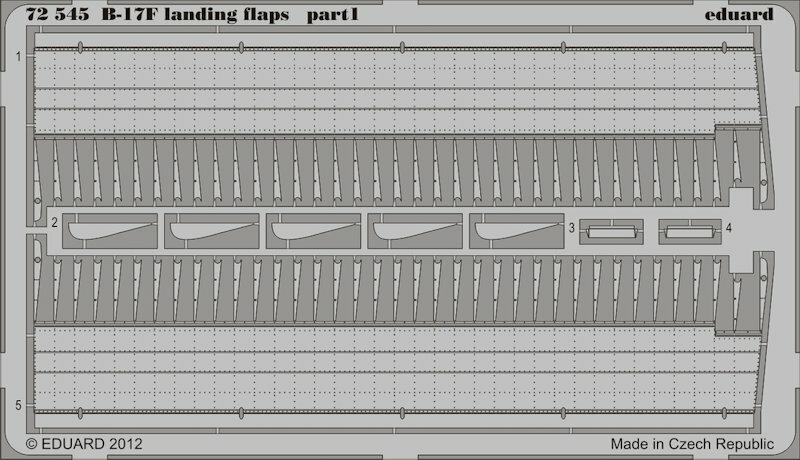 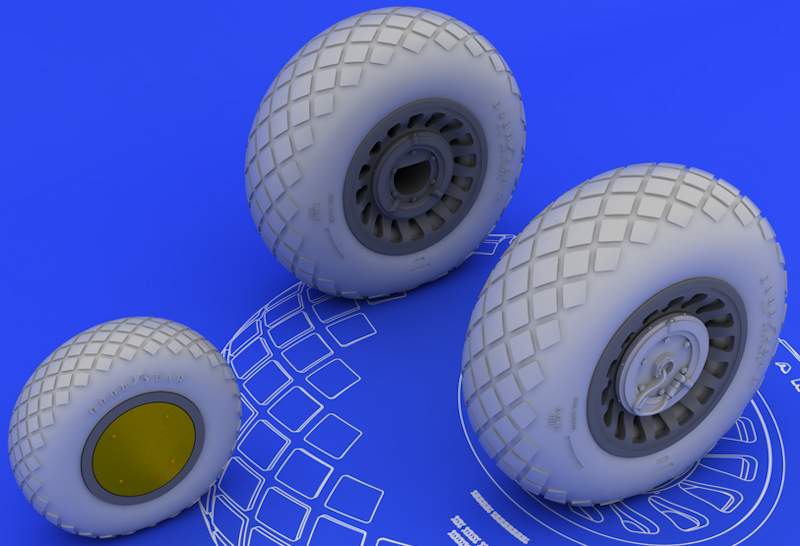 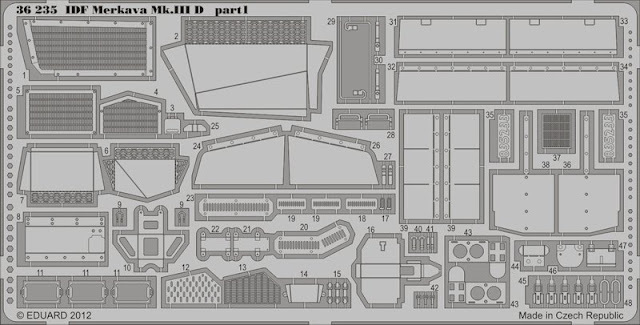 Set contains detailed rocket body, as well as underwing pylons and racks. 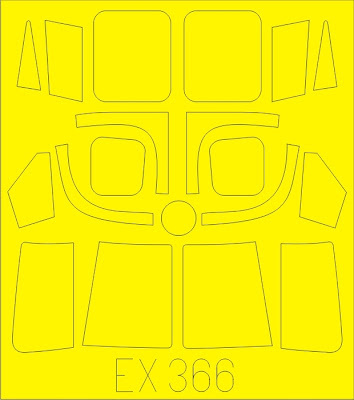 Photo-etched details are included. 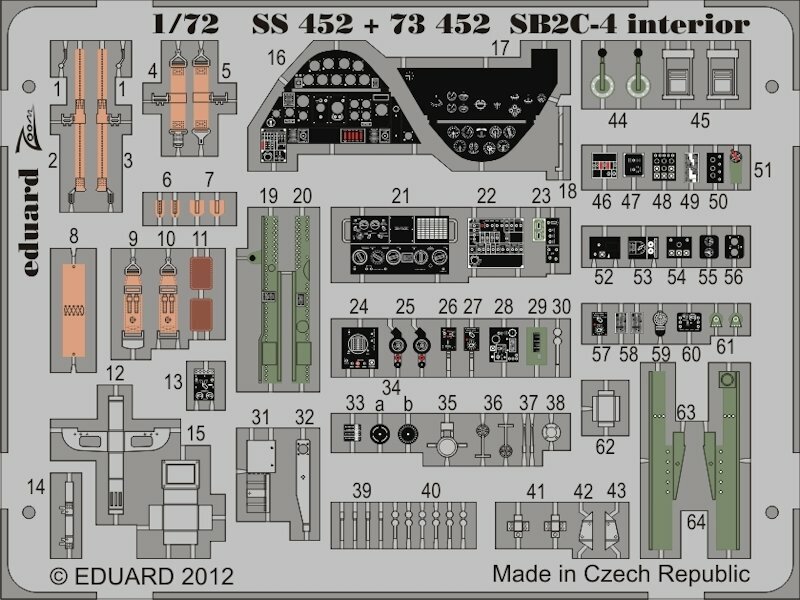 Designed for Eduard 1/72 MiG-15/MiG-15bis kits. 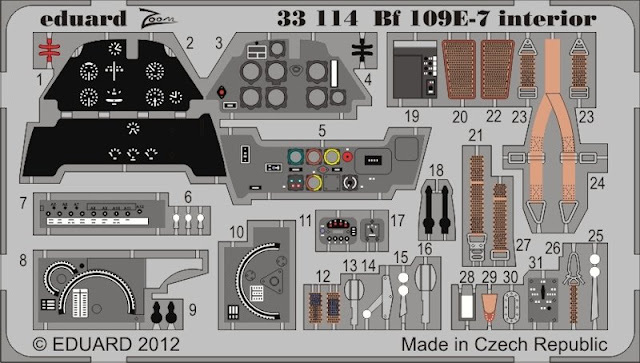 Can be used also on other models of types such as MiG-17, MiG-19 and MiG-21(F-13). 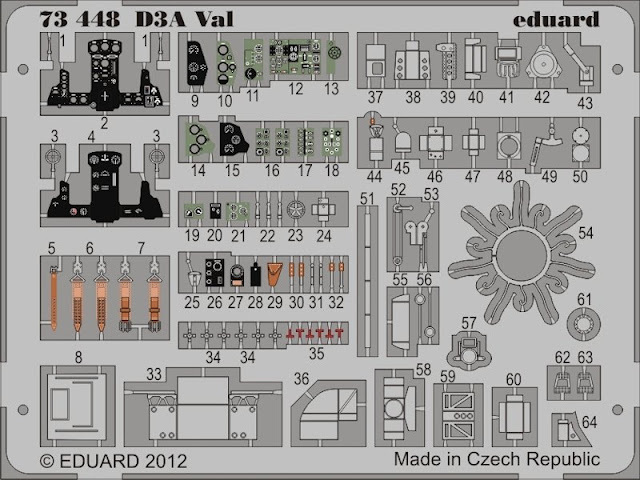 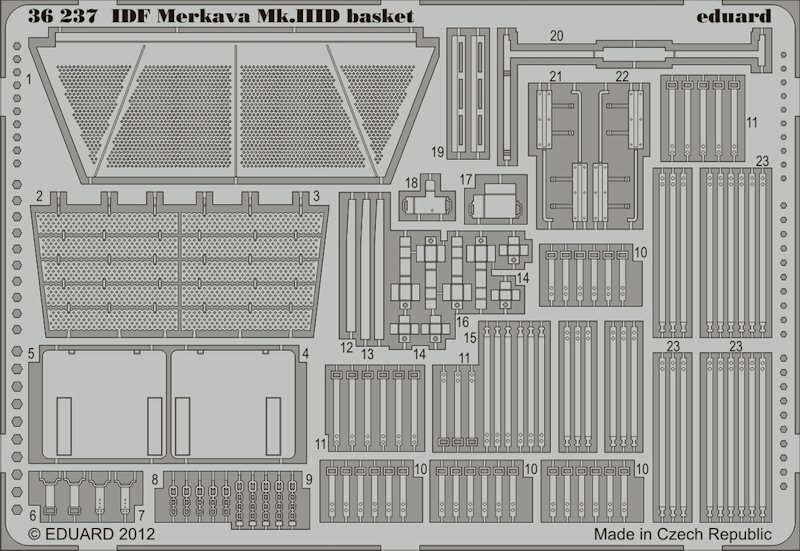 Description: Advantageous set of Photo-etched and Mask sets. 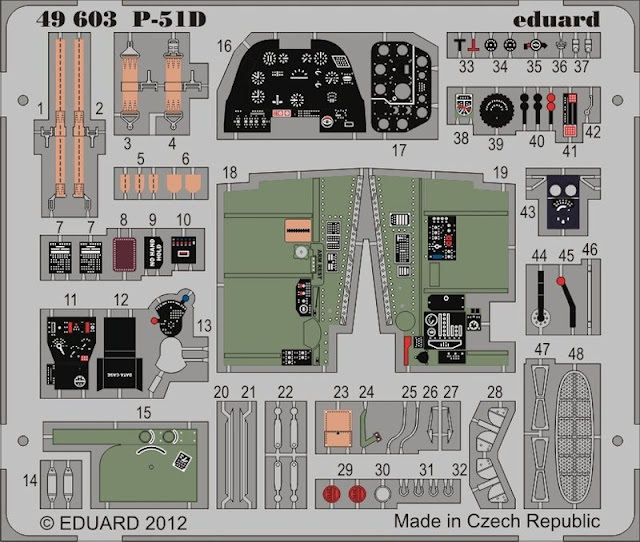 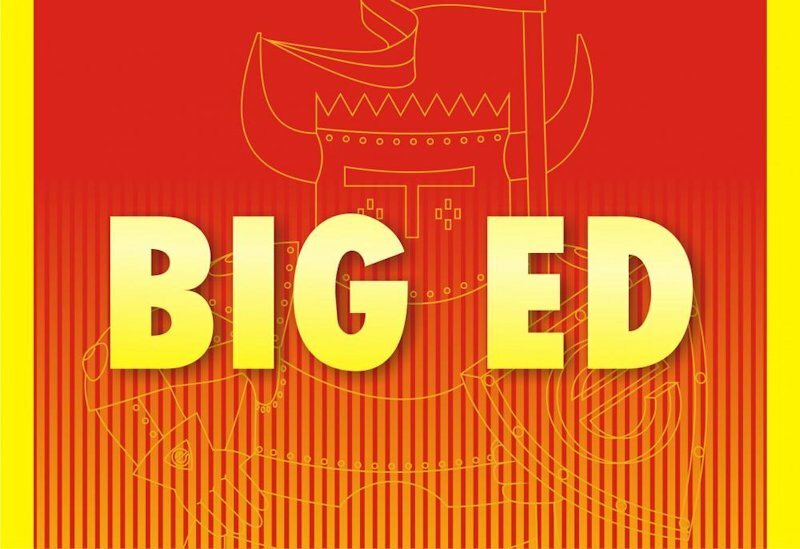 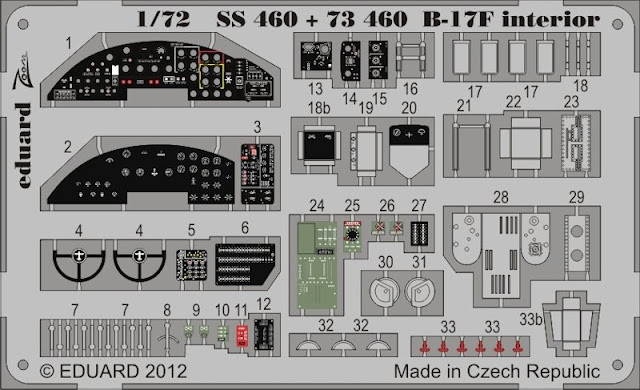 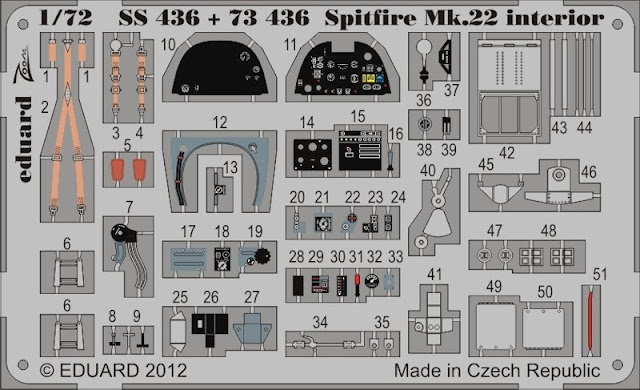 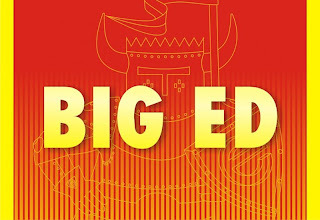 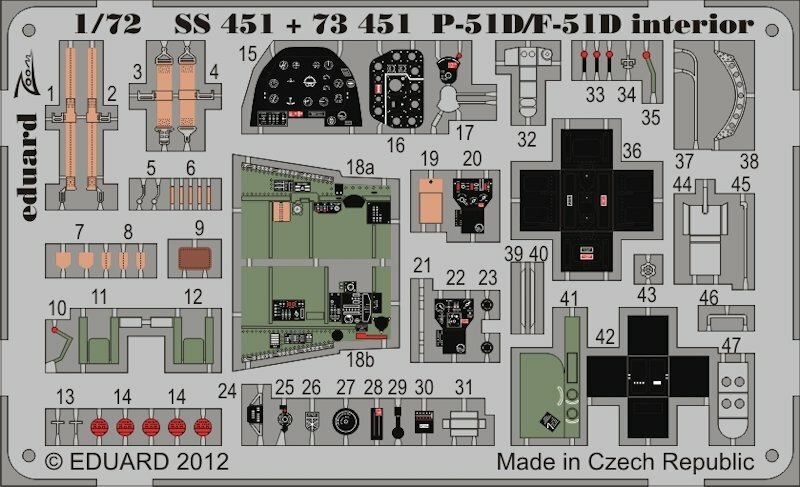 Extensive Big Ed PE collection for a large model of B-25J in 1/32 scale by HK models. 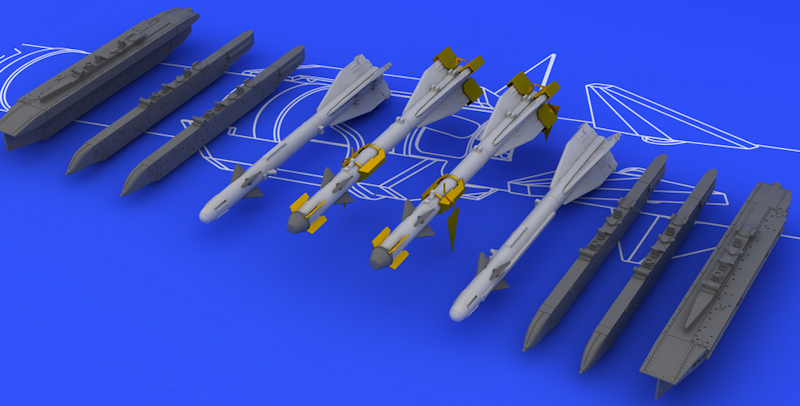 This set is focused on the bomber variant of the J series. Big Ed collection consists of 9 sets covering exterior, bomber front interior, cockpit interior, correct pilot seats, fuselage interior, ammunition belts, seatbelts, bomb bay and painting mask. 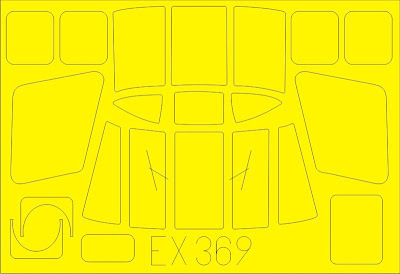 Photo-etch Big Ed collection for the m3 version of Tamiya 1/48 Soviet Il-2 in 1/48 scale consists of the exterior, interior (together in one set), landing flaps and a painting mask. 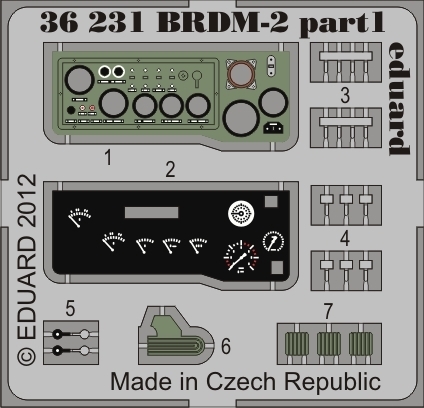 Don’t overlook the Eduard Brassin line accessories for the same kit - Related Products are below on this page. 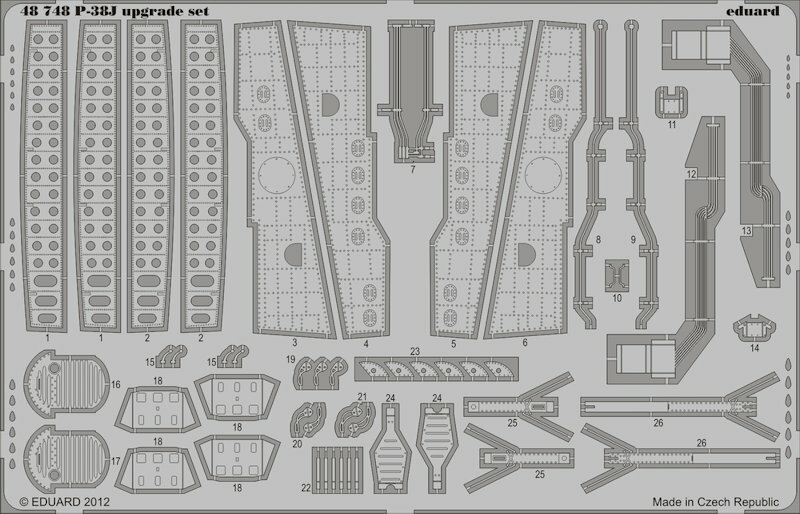 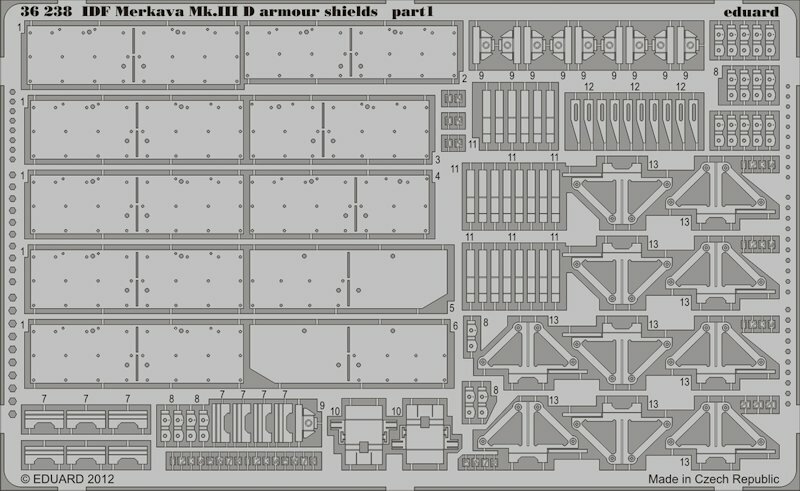 Big Ed photo-etch collection for the Oshkosh M-ATV (Mine Resistant Ambush Protected Vehicle) in 1/35 scale by Kinetic contains exterior, interior, seatbelts and window painting mask. 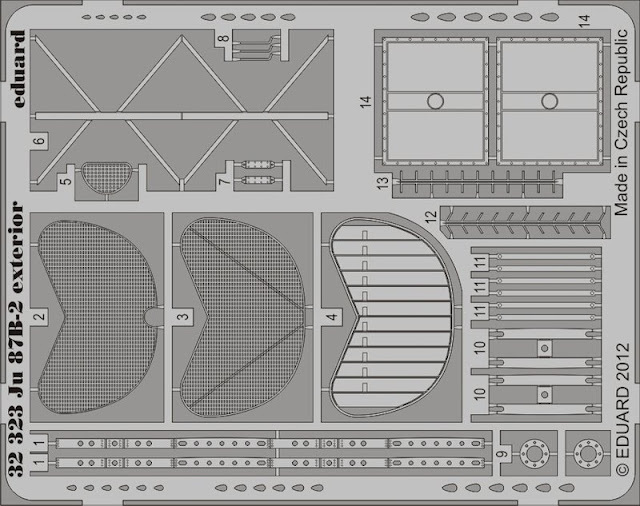 A special set for the OGPK overhead cover is available separately with Cat.No. 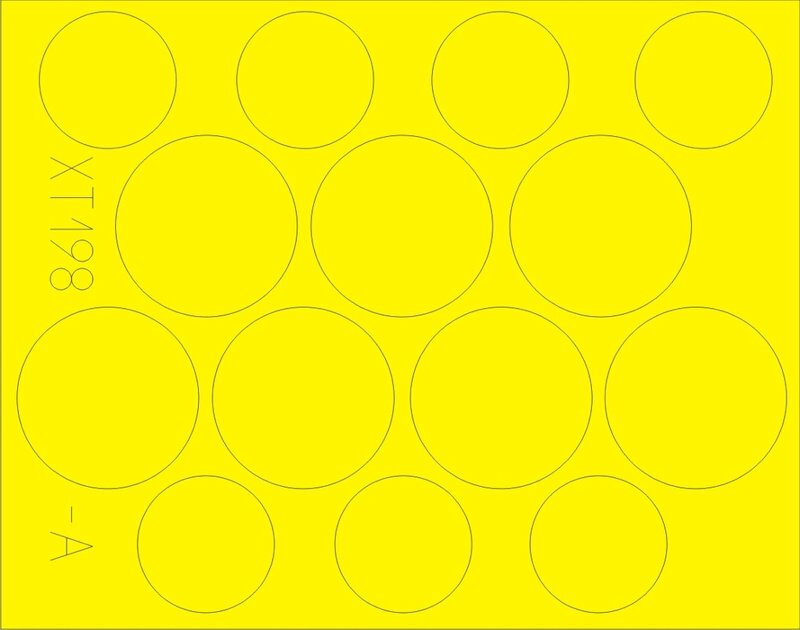 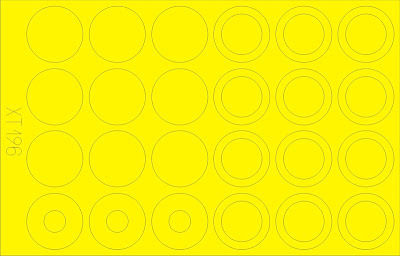 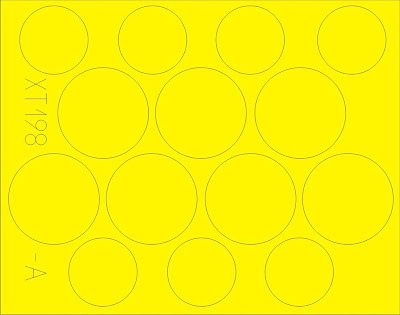 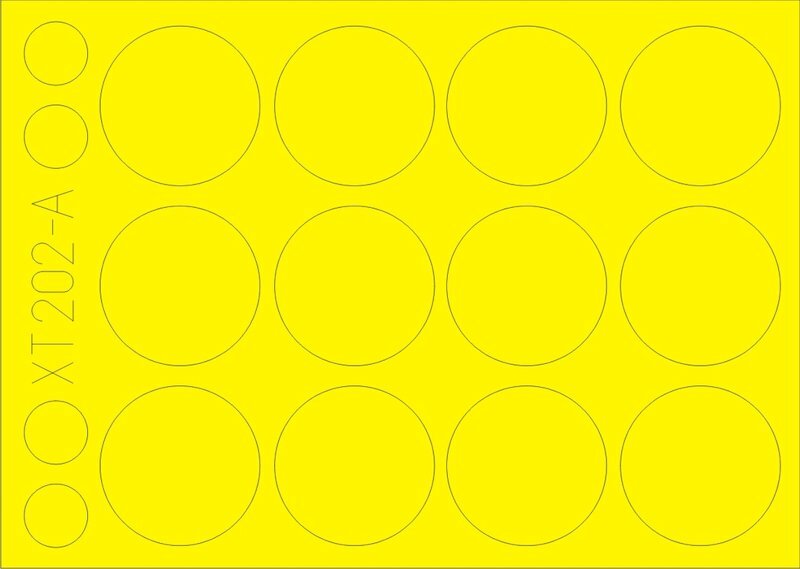 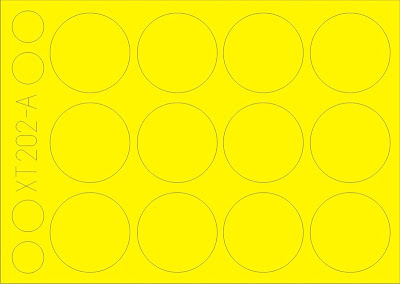 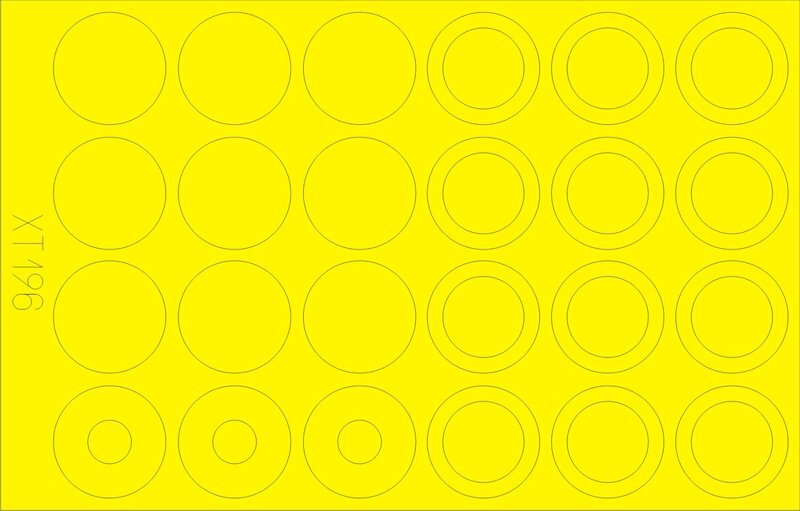 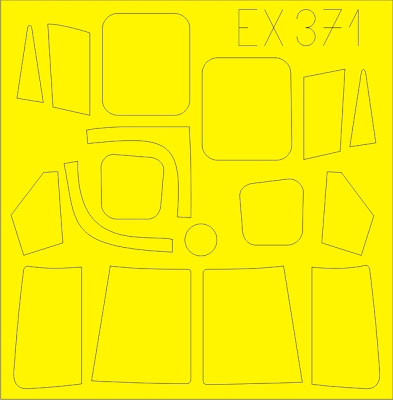 36224. 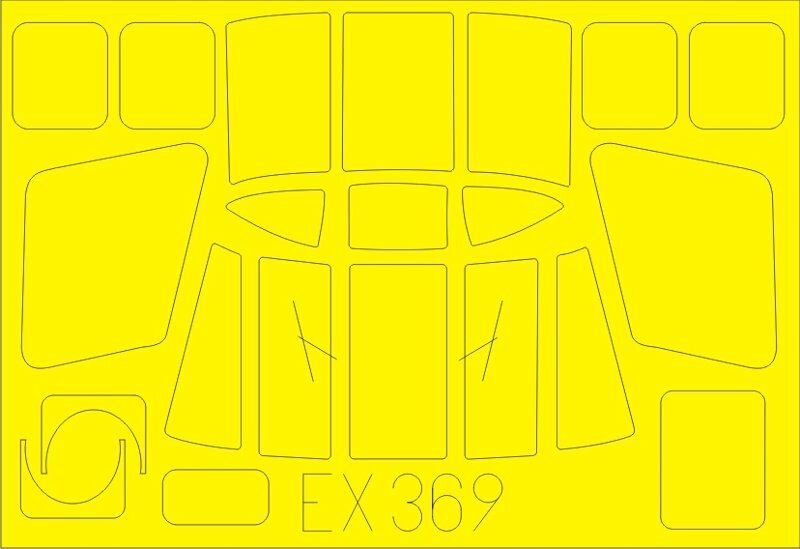 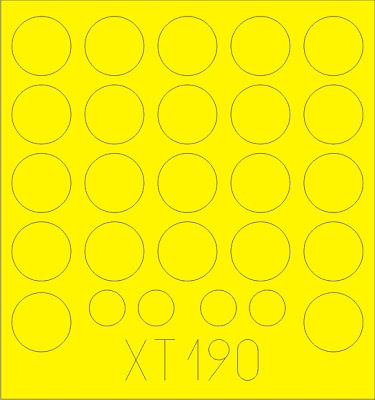 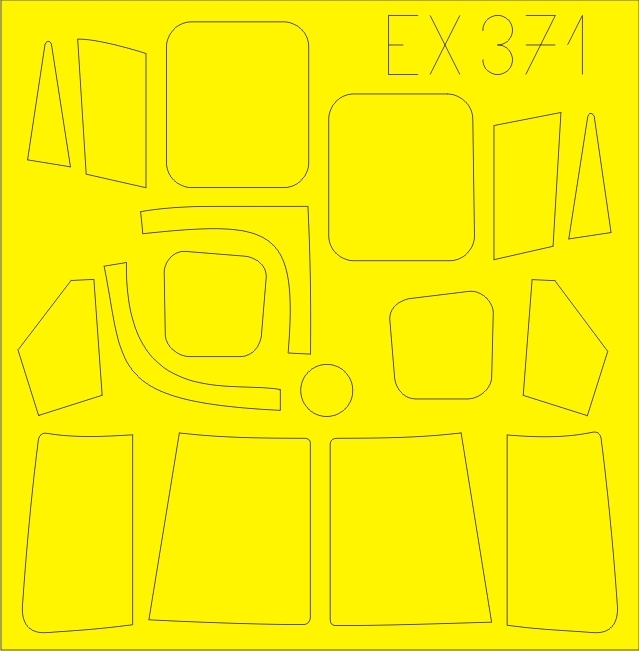 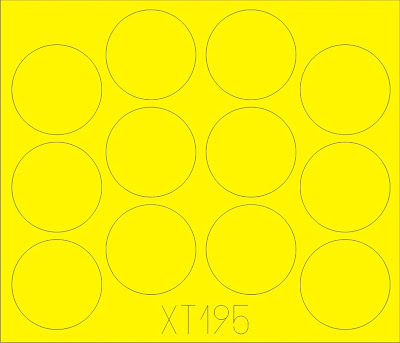 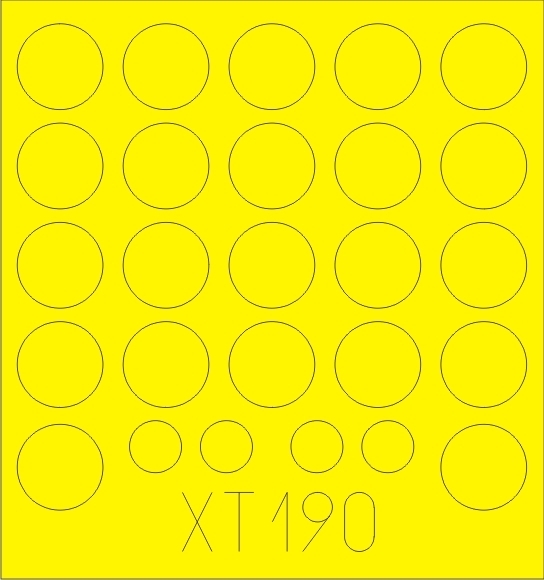 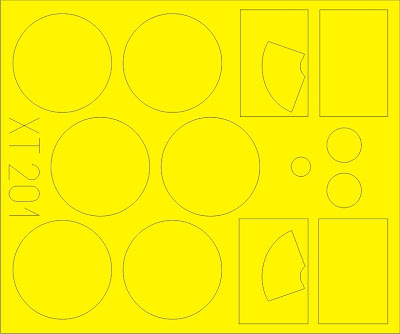 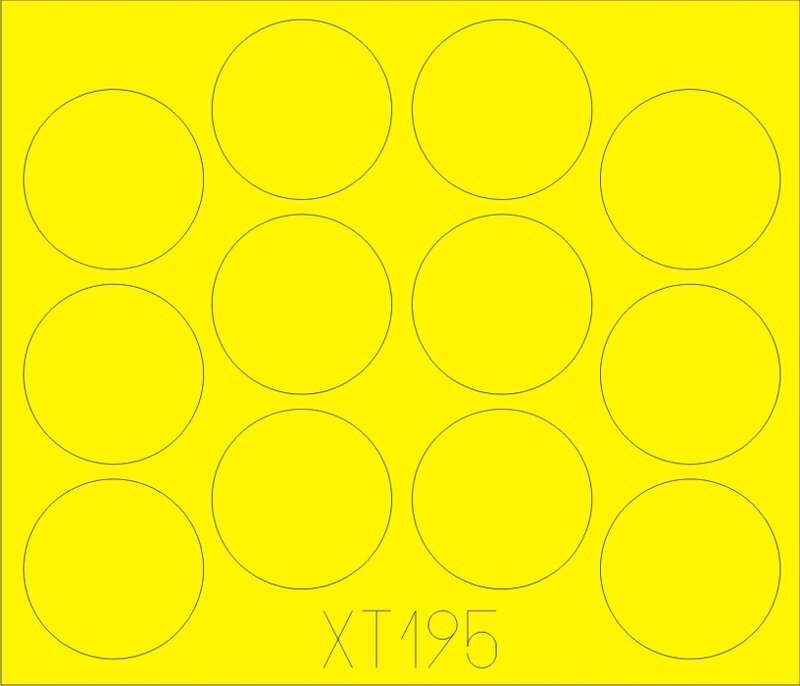 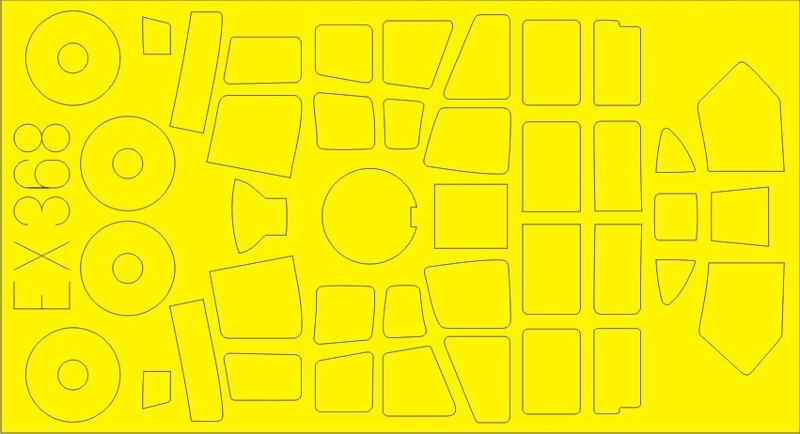 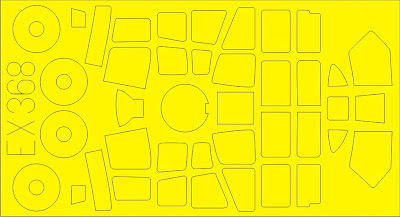 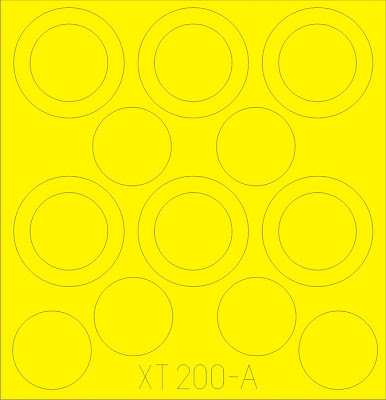 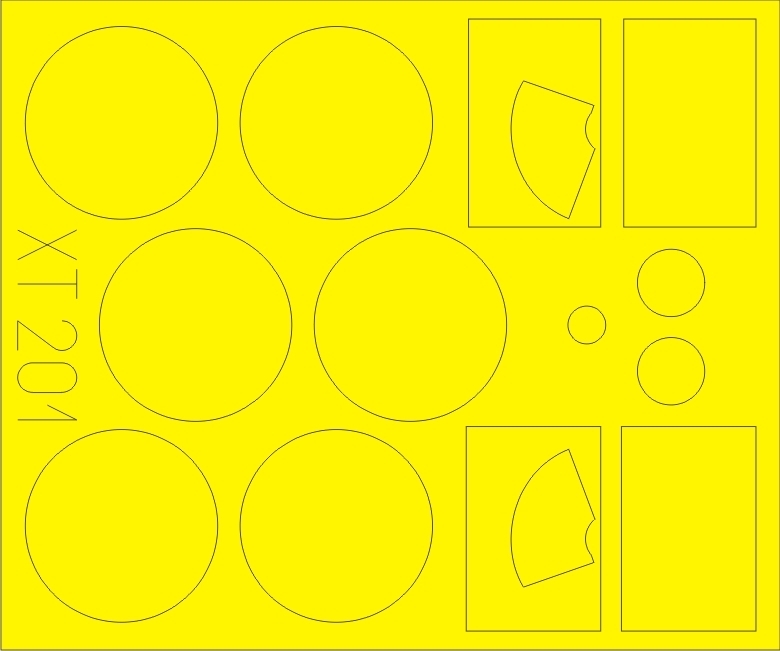 Description: Masking sheet - die-cut adhesive shapes. All of these great kits and model accessories are now available from your Eduard stockist and also from them directly - check their Facebook page for updates on their products as they are announced..